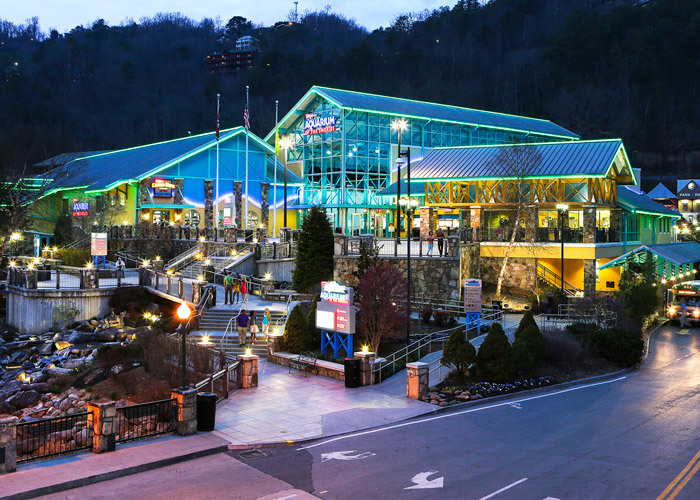 Planning a family vacation to Pigeon Forge and Gatlinburg? You're in for a real treat! With tons of beautiful sights and fun attractions, the Smoky Mountains are a perfect place for spending quality time with your kids! 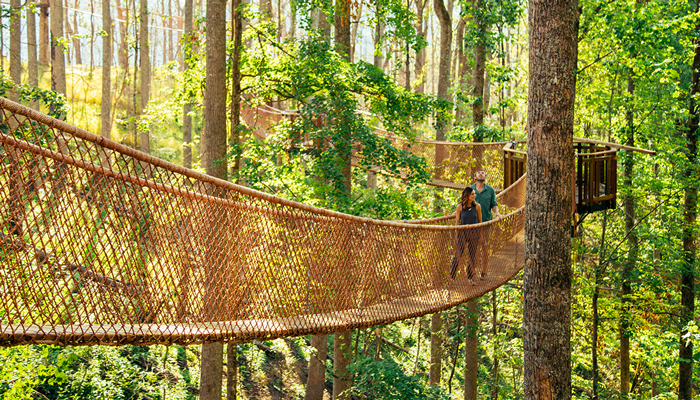 To help you get the most out of your getaway to the Smokies, we made a list of the top kid-friendly attractions and destinations in the Smoky Mountains. Here are the 10 best kids attractions in Pigeon Forge and Gatlinburg! The Penguin Playhouse – A huge, interactive penguin exhibit with clear underwater tunnels, so kids can get an up-close look at these fascinating birds. The Coral Reef – A stunning coral reef with colorful fish from the Indo-Pacific. Shark Lagoon – See these powerful, toothy predators from inside a 340-foot underwater tunnel that passes through the Shark Lagoon tank. Touch A Ray Bay – Stop by this shallow lagoon to touch a stingray as it glides through the water. This Aquarium is filled with fascinating sea creatures and interactive exhibits that kids absolutely love! Dollywood is a Smoky Mountain Theme Park in Pigeon Forge, TN that's known for its fun rides, caring, hospitable staff, and unforgettable Southern charm that makes it a perfect destination for families. The most kid-friendly part of Dollywood is the "Country Fair," a pleasant, carnival-themed area of the park that features a Ferris Wheel, bumper cars, spinning rides, a carousel, and even a flying elephant ride that allows younger riders. In addition to the vintage charm of the Country Fair, Dollywood has several play areas for younger children located throughout the park. 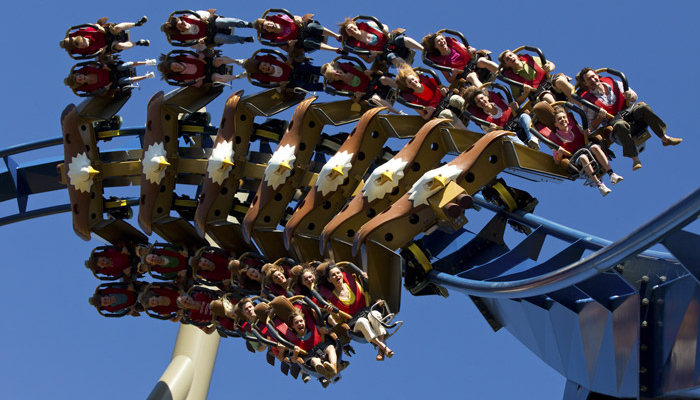 Wild Eagle – Soar through the sky at speeds reaching 61 MPH. Thunderhead – Enjoy the roar of a classic, style wooden roller. Lightning Rod – The fastest wooden roller coaster in the world. Mystery Mine – A unique indoor/outdoor coaster with a great theme and fun surprises. Dollywood even has a real, coal-powered train that runs through the beautiful mountainous terrain that your kids will love. During the summer season, you can also experience Dollywood's waterpark "Dollywood Splash Country!" Check out our guide with special tips and secrets for enjoying Dollywood in Pigeon Forge! 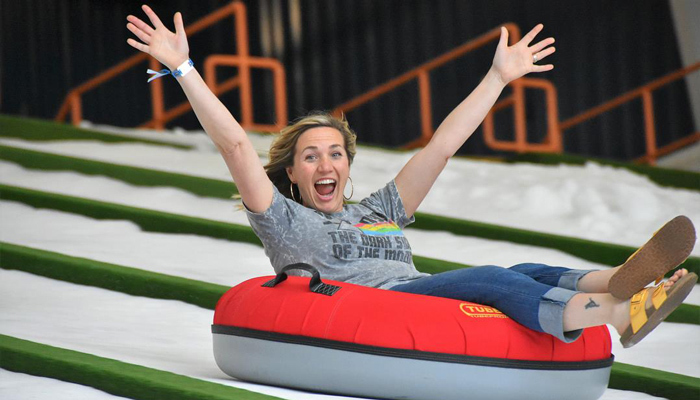 Located just off of the Pigeon Forge Parkway, Pigeon Forge Snow is a new attraction that offers indoor snow tubing year-round! Heralded as the first indoor snow tubing attraction in the US, Pigeon Forge Snow allows you to tub on 100% real snow any time of year! There's even a separate viewing area for mom and dad, so you can sit back while your kids enjoy sliding down the tubing runs. With a magic carpet conveyor belt to take you to the top of the run and a separate snow play area for younger children, this new attraction is a big hit with families with kids. Driving down the main drag in Pigeon Forge, you won't miss the surprising sight of a large building flipped upside down on the roadside. 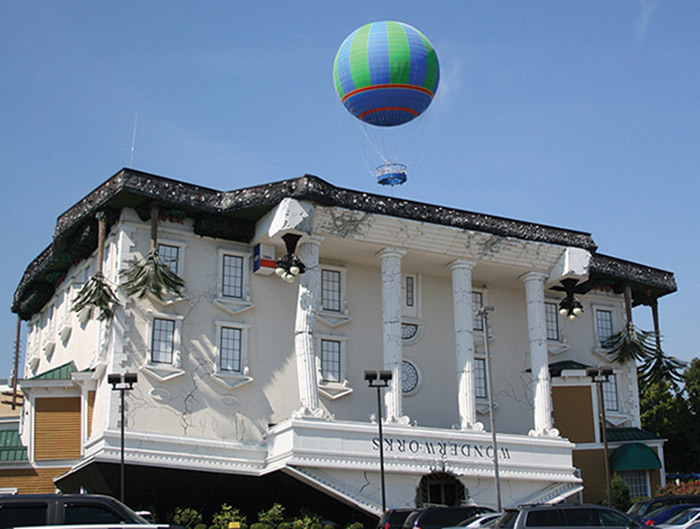 This is Wonderworks, a "top-secret laboratory" filled with over 35,000 feet of interactive science exhibits that's a great attraction for kids to explore. Learn about the forces of nature by experiencing wind gusts of 71 MPF in a wind tunnel, feel the force of a 5.3 magnitude earthquake, and see the dazzling electric field of a Tesla coil. Wonderworks also features a laser tag arena and an indoor ropes course to enjoy during your visit! Located on a beautiful mountaintop perched above Downtown Gatlinburg, Anakeesta is a newer adventure park in the Smoky Mountains with tons of activities for kids! As you drive through the Pigeon Forge Parkway, you'll notice the prominent bow of a ship. 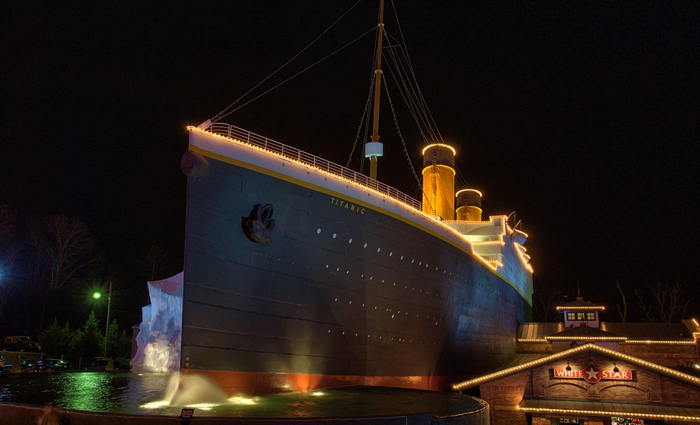 This excellent museum in Pigeon Forge is dedicated to telling the tale of the RMS Titanic which sunk in the cold waters of the North Atlantic in 1912. Inside, you'll find interactive displays that will allow you to fully experience what it would have been like to be a passenger aboard the Titanic. For families with young children, Tot-Titanic is the perfect place for visitors 8 and under to explore. Located just off of Wears Valley road near Pigeon Forge, The Coaster At Goats on the Roof is one of the most unique attractions in the Smokies that's perfect for kids! With a 4,375 Ft track, this alpine coaster allows you to control the speed of your descent. The coaster sleds are big enough for two riders, so you can experience the ride with your kid! Just as advertised, this attraction has "goats on the roof," and visitors are able to feed and interact with these funny, climbing goats. There's also a gem mine where you can pan for rare rubies and sapphires during your visit! You may not have expected to see a zebra or a kangaroo on your trip to the Smokies, but you can do exactly that when you visit the Smoky Mountain Deer Farm and Exotic Petting Zoo in nearby Sevierville TN! At this fun, family-friendly attraction, you can feed and interact with horses, deer, camels, zebras, kangaroos, elk, and adorable pigmy goats! This petting zoo also provides a pony ride for young children and guided horseback rides on the farm property. During a warm summer day, nothing beats relaxing on an inner tube while you float down a pristine river in the Smokies! In nearby Townsend, TN you and your kids can find several outfitters that offer river tubing on the Little River, which originates inside the Great Smoky Mountains National Park. This gentle river has a few rapids, but it is safe for younger children to enjoy. For a more action-packed river adventure, we recommend checking out whitewater rafting on the Little Pigeon River near Gatlinburg, TN! Please note that river rafting and river tubing are typically open during the warmer months. The most impressive sight at Tuckaleechee Caverns is probably the "the big room," an impressive cavern that is 400 feet long, 300 feet wide, and 150 feet tall. Additionally, you can view an underwater stream that's filled with cave creatures like minnows and crayfish. For more ideas of what to see in Pigeon Forge with your family, check out this special guide of the top things to do in Pigeon Forge for kids! To get the most out of your family vacation in the Smokies, why not book your very own Smoky Mountain cabin in Pigeon Forge? Our cabins come complete with pools and game rooms, so your kids will have a blast on their getaway to the Smokies!